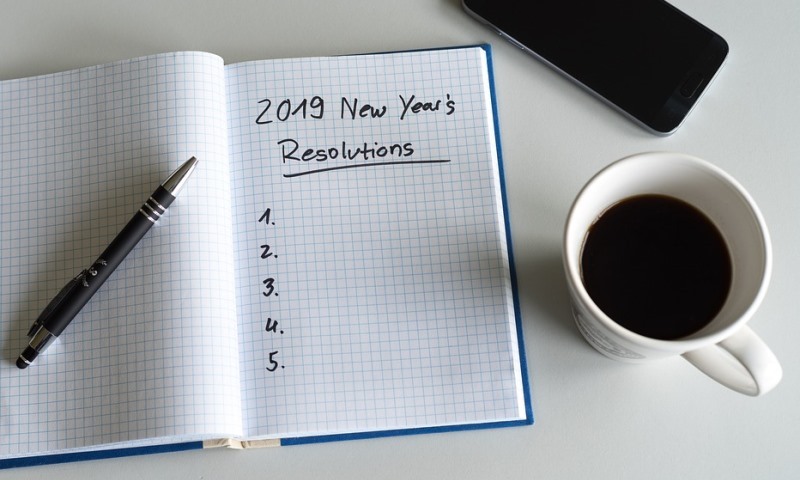 Have you set your resolutions for 2019? Maybe you’ve already broken a few! Fear not – there’s still hope for your reading goals. Here are our best tips for keeping your reading on track in the New Year. Many of us often think that reading requires a comfy chair, a cup of tea, and plenty of time. But sometimes life doesn’t lend us these luxuries, and if we keep waiting around for the perfect moment it may take days to conquer a single chapter! Reading can be just as good on the go – whether that’s riding the bus, on your lunch break, waiting for dinner to cook, or during the ads while you watch TV. Read your book in waiting rooms (instead of a faded gossip magazine from 2016), on aeroplanes, and even on the loo! Swap your smartphone for a book during those everyday lulls and in-between moments, and we guarantee you won’t regret it. Ever been so tired at the end of a long day that you can barely keep your eyes open long enough to process a single line? Put down the paperback and let an audiobook lull you to sleep instead! In the morning, pick up where you left off on your morning commute! While the experience of an audiobook is undoubtedly different from that of a physical book, they are the perfect resource for the busy reader. You can operate machinery while listening! Do jobs around the house, run errands, exercise! And if you’re concerned that audiobooks are ‘cheating’ compared to traditional modes of reading, fear not – studies have found no significant differences between the two. If you have friends who love reading, you’ve got the makings of a book club. Reading with a group can give you insights that you might otherwise miss, and it makes you more accountable, too. Many local libraries offer book club kits, a free service that provides multiple copies of new releases, author information and discussion notes to registered book-clubbers. If you’re already in a book club, challenge yourself not to be the person who just comes along for the cheese and bikkies – aim to read every book that you are assigned! If you’re a fiction lover, try a touch of non-fiction or memoir (may we suggest Eggshell Skull by Bri Lee or Teacher by Gabby Stroud - two of our top-reviewed books of 2018). If you’re a sci-fi cynic, give Ursula K. Le Guin or Kurt Vonnegut a crack! And if you’re a sucker for a bestseller, consider this wisdom from author Haruki Murakami: ‘If you only read the books that everyone else is reading, you can only think what everyone else is thinking.’ There are thousands of gems tucked away in second-hand bookstores and grandparents’ libraries that are just as valuable. While you’re at it, aim to include more Australian authors and authors from diverse backgrounds in your reading pile! 5. It’s ok to quit! This New Year, give yourself permission to put down the books you’re just not enjoying. There’s no fun in reading out of obligation! Reading should be enjoyable and stimulating. Resolve to love reading in 2019!